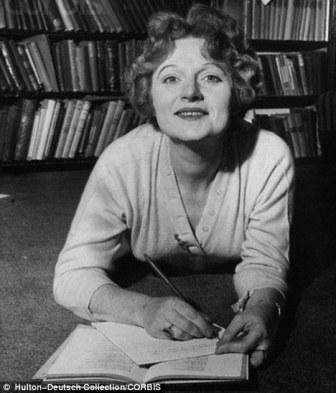 I’m a Death-Of-The-Author kind of student and I’ve never been a reader of biographies, but I’ve recently read through a fair amount of biographical material relating to the subject of my research thesis, Muriel Spark, and I thought it would be a useful exercise to collect my thoughts on this material and record them here. I’ve supplied a bibliography below, but for ease of reference the major texts referred to in this post are Martin Stannard’s 2009 biography, Muriel Spark’s own autobiography Curriculum Vitae, which covers only the years before she really found fame, and Derek Stanford’s volume of criticism and memoir. Spark instructed research students focusing on her work not to read the latter. Nevertheless, those students who disobey Spark’s ruling will take Stanford’s book with a pinch of salt once they have read Curriculum Vitae, because the ever-watchful Spark took steps to ensure that Stanford’s memoir would not be taken seriously. She corrects more than a few of Stanford’s mistakes: for example, Spark’s grandmother did not have gypsy blood, and little Muriel was not breast-fed for two years as Stanford claims; he also bungles the French of the title of Proust’s major work (Recherche dans le temps perdu!). In fact, Stanford was very fair to Spark in his 165-page memoir. Stanford himself emerges from contemporary accounts as a rather ridiculous figure, a dapper little bald fellow given to aping eighteenth-century speech mannerisms which never failed to irritate those with whom he conversed. Spark lampooned Stanford in A Far Cry From Kensington by casting him as the odious pisseur de copie, Hector Bartlett. After reading Spark’s sharp, pared-to-the-bone prose and Stannard’s lucid account of Spark’s life, Stanford’s written style reads as excessively elaborate and often contrived, but he attempts to do justice to his subject and is not insensitive as a critic: he gives a very plausible reading of Spark’s poem, The Rout [Stanford, pp. 83-88]. However, his critical responses are more reliable when he is assessing Spark’s poetry; when he moves on to her fictional prose, he flounders a little and it is clear that Stanford, steeped as he was in eighteenth- and nineteenth-century writing, didn’t really have a critical grasp of the more modern forms of literature: some of his harsher judgements appear to stem from his own lack of comprehension. But Spark herself comes out well: Stanford depicts her as being delightful company, playful and humorous, yet determined to achieve her goals. In Curriculum Vitae, Spark, however, writes that she was concerned about Stanford’s habit of inaccuracy: ‘It was often small facts, dates and titles that Derek couldn’t get right… In a literary collaborator, this carelessness puzzled me and worried me in those early ‘fifties’ [CV, pp. 189-190], so she was understandably concerned when she found out that Stanford was writing a biographical and critical study of her. Stanford caused more problems than simply getting a few minor dates wrong, however. After the Second World War, rationing continued in England until 1954, and Stanford cheerfully and regularly ate half of Spark’s meagre rations, even though he was still living with his parents and she was evidently under-nourished. He cared for her when she suffered her breakdown and obtained on her behalf some money from Graham Greene to tide her over. However, when he let himself into her rooms in order to pack some belongings to take to Spark in her retreat, he helped himself to a couple of notebooks of juvenilia which he later sold for profit. He also betrayed Spark when he sold a large number of her letters, and the memoir too was an exercise in cashing in on the fame of a more successful writer to make money for himself. In another review of the biography, Joseph O’Neill describes Stannard’s unflinching defence of Spark as a means of ‘awakening in the reader a prosecutorial instinct’, and surmises that Spark ‘foresaw her amiable assassination by Stannard and arranged for it’. This is an interesting conclusion, but O’Neill doesn’t give us anything to go on: he doesn’t really explain why he thinks Stannard’s biography is so damning. He draws a clever likeness between Spark arranging her own biographical assassination, and the character of Lise, who arranges her own brutal murder in The Driver’s Seat, Spark’s most accomplished and most horrible novel. I like this line of reasoning very much, but I wish O’Neill had explored his conclusion in more depth. I’m tempted to think that he was perhaps so enamoured of his clever comparison that he didn’t dare examine it further in case his theory just didn’t hold water. On the whole, I think there is much that is good about O’Neill’s review, but I do feel the need to point out that although he is quite right in asserting that ‘postmodernism was around well before 1980’, he ought to bear in mind that it took a little while for these new fancy theories to take hold in the UK, so Stannard is justified in describing Spark as being ahead of her time. (She was. It’s quite clear from reading contemporary reviews that a not-inconsiderable number of critics just didn’t know what to make of her.) I also had to wince when O’Neill describes Stannard, who works as a Professor of Modern English Literature at the University of Leicester, as ‘not much given to literary theory’. Perhaps he simply meant that the biography is not weighed down or overloaded with passages of criticism, which is true enough. Let’s hope so. Alan Massie notes in his own book on Spark’s oeuvre that a biography is ‘something impertinent if done unsanctioned during its subject’s lifetime, generally worthless if written with his [sic] co-operation’ [Massie, p. 12]. So, by this reasoning, the Stanford book is impertinent and the Stannard worthless. As for Spark’s autobiography, she ‘determined to write nothing that cannot be supported by documentary evidence or by eyewitnesses’ [CV, p. 11]. While this is an approach that has its merits, the end result is a book that is rather dry and humourless compared to her fiction; in fact, her barbed corrections of Stanford’s errors make for some of the most entertaining passages – that and her spat with Marie Stopes. Nevertheless, given Spark’s concern for her public image, the volume of autobiography should be treated with caution. Jenny Turner hits home in her description of Curriculum Vitae as ‘a debunking job…a pre-emptive attack’ [online source]. Turner here anticipates O’Neill’s conclusion that Spark, expecting the inevitable attacks to come, took care to arrange matters so that the presentation of biographical material was as much under her control as it was possible to be. As previously stated, I have my doubts about the use or relevance of biographical material to literary criticism, so I find myself in the happy position of being gloriously untroubled about the problems pertaining to the use of this sort of material. I’m grateful nevertheless to Professor Stannard for having done so much of the necessary leg-work: his bibliography alone is immensely useful to anyone wanting to write about Spark. And it would be churlish of me not to acknowlege that I did, in fact, pick up some very useful information here and there along the way. For example, one small fact threw a little bit more light on a Spark short story I’ve written about before: A Member of the Family. Spark stayed with Christine Brooke-Rose in the Austrian Alps, and when asked what she thought of the view, she replied ‘It’s just like Wales’. Stannard tells us that everyone laughed, although ‘privately [Brooke-Rose] thought it verged on bad manners in a guest’ [Stannard, p. 214]. Spark may or may not have picked up on Brooke-Rose’s mild displeasure, but in any case she includes the remark in the dialogue of her short story: Trudy tells Gwen that she thinks Southern Austria is ‘all rather like Wales’ [Complete Short Stories, p. 124]. What has become apparent to me since reading Stannard’s account of the conversation with Brooke-Rose, and what should really have been obvious before, is that this remark which Brooke-Rose considered impolite really is a rather dull and stupid thing to say, and Spark puts these words into the mouth of Trudy, a rather dull and stupid young woman. But there’s more than this: in referring to Richard, the hero of the story, Stannard writes that he has ‘supposedly turned up by coincidence’ [Stannard, p. 214, my emphasis], the implication being, of course, that Gwen and Richard (or perhaps Gwen and Lucy?) have plotted and arranged beforehand that the three should meet in Austria in order to instigate a love affair between Richard and Trudy, which is how events play themselves out. The reader knows that Gwen and Richard talk about Trudy behind her back: ‘as he told Gwen afterwards, this remarkable statement was almost an invitation to a love affair’ [Complete Short Stories, p. 127]. The reader can infer that Gwen has also told Richard of Trudy’s dull remark about Wales, because Richard himself makes this comparison while he and Trudy are out boating: ‘ “It looks like Windermere today, doesn’t it?… Sometimes this place,’ he said, ‘is very like Yorkshire, but only when the weather’s bad. Or, over on the mountain side, Wales’ [Complete Short Stories, p. 128]. It is obvious now to the reader that Richard is mocking Trudy because he elaborates and improvises on her original dull-witted observation: they are on a lake which looks amazingly like Windermere – which is also a lake – and the landscape of Southern Austria is similar to Wales because it has mountains, and Wales has mountains, doesn’t it, and furthermore, the Austrian Alps look just like Yorkshire when it’s raining because it rains in Yorkshire too. One can imagine how Richard and Gwen will later laugh together at Trudy’s naive stupidity and her inability to recognise when someone is pulling her leg. Already, Trudy spends much of her time discussing Richard in the company of another woman. So desperate is she for news of him that she suppresses her wish to change lodgings in order to have ready access to information about her lover from Gwen. Trudy is playing out by way of rehearsal what will be her role eternally once Richard has finished with her. Spark’s writing is just so good. What looks simple and innocent on the page becomes more and more barbed as you dig deeper. I’m so glad that I learned of that simple conversation with Brooke-Rose because it’s helped me to understand just how nasty this simple story really is. 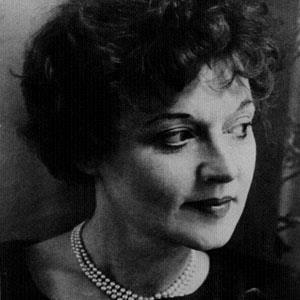 Muriel Spark did, in fact, lead a very interesting life. Born in 1918 and raised in Edinburgh, she left Scotland to marry Sydney Oswald Spark in Africa, where she gave birth to her son, Robin. Sydney Spark was a violent manic depressive: ‘too mentally unstable to hold down a job, he also revealed himself as prone to gunplay and wife-beating’ [O’Neill, p. 100], so Muriel deserted her husband and obtained a divorce as soon as she could. The outbreak of the Second World War delayed Muriel’s return home, but she eventually managed to secure a passage back to England where she worked for the Foreign Office alongside Sefton Delmer, broadcasting falsified information intended to discourage the Germans. Once the war was over, Muriel worked extremely hard to secure herself a role in the world of literary London. She was offered the position of secretary for the clique-ridden Poetry Society, where she met the two men with whom she had the most intense love affairs, Howard Sergeant and Derek Stanford. She was eventually sacked from the Society, but she continued to write as often as she could while dealing with poverty, malnutrition and hallucinations brought on by her use of the slimming drug, Dexedrine. She converted to Roman Catholicism in 1954. When Macmillan commissioned a novel from her, she made use of her new-found Catholicism, and her hallucinatory experiences, in writing The Comforters, which was very well-received. From that point onwards, her star continued to rise until she finally achieved something like financial security with the success of The Prime of Miss Jean Brodie. She left England to take up residence first in New York, then Rome, and finally she settled in Tuscany with the painter Penelope Jardine, who was her companion for over thirty years until Muriel’s death in 2006 at the age of eighty-eight. 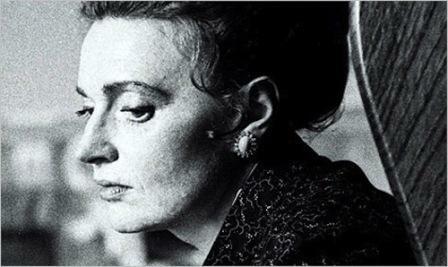 Stannard’s biography, even in its heavily-tampered-with state, cannot disguise the fact that Spark was driven by her sense of writerly vocation to the point of extreme selfishness: for example, her son Robin was brought up by his grandparents leaving Spark free to follow her literary career. She regularly sent money to her parents towards Robin’s upkeep, but he was eventually cut out of Spark’s will when he managed to offend her once too often. But, as O’Neill quite rightly points out, ‘rarely is anyone much detained by the parental flaws of male writers’ [O’Neill, p. 101], which, as far as I’m concerned at least, will do quite nicely as the last word on the subject of Spark’s parenting. 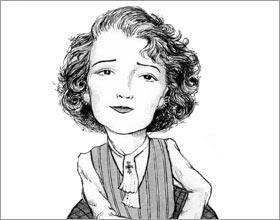 Spark was a huge intellectual snob: the quotation in the title of this post comes from one of Spark’s diary entries, and it more or less sums up her attitude to those who weren’t her intellectual equivalent. For Spark, the world was full of dullards and time-wasters. The reader is never encouraged to feel sympathy for stupid little Trudy in the story discussed above, nor for any of Spark’s slow-witted fictional victims. But there are worse crimes than snobbery and Spark saw such crimes during her years in Africa, the details of which she used in some of her short stories. Spark heard white colonials boasting about how a little black boy had been shot dead for peeping at a white woman breast-feeding, and she wrote about this killing in a story entitled The Curtain Blown by the Breeze. Another violent death provided the basis for yet another short story: by an enormous coincidence, Spark’s old school acquaintance Nita, who bore more than a passing physical resemblance to Spark, had also relocated to Africa and Spark met up with her there, shortly before Nita was shot dead by her husband. In Bang-Bang You’re Dead, Spark writes about two women, Desirée and Sybil, who look very much alike – so much so that Desirée is shot dead in place of Sybil, the intended victim. Spark used autobiographical material in her writing, as do most authors: it makes sense, of course, to write about what you know. Stannard has conscientiously documented the points at which Spark’s life meets Spark’s fiction, and although the biography weighs in at 536 pages, it remains readable throughout. Having said that, I have to admit that at one point I did tweet ‘If I had 1p for every time I’ve read the words ‘Muriel was irritated’ in Stannard’s Spark biography, I’d have enough £ to pay my PhD fees’. Massie, A., 1979. 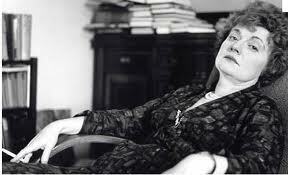 Muriel Spark. Edinburgh: Ramsay Head Press. O’Neill, J., 2010. Killing Her Softly. Atlantic Monthly, September pp. 99-107. Spark, M., 1992. Curriculum Vitae: Autobiography. London: Constable. Spark, M., 2002. The Complete Short Stories. London: Penguin. Spark, M., 2007. The Cahiers Series Number 2: Walking on Air. Lewes: Center for Writers & Translators at the Arts Arena of The American University of Paris and Sylph Editions. Stanford, D., 1963. 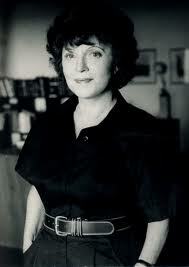 Muriel Spark: A Biographical and Critical Study. London: Centaur Press. Stannard, M., 2009. 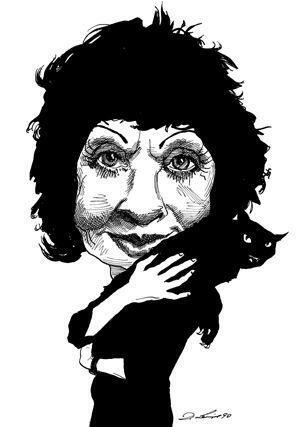 Muriel Spark: The Biography. London: Weidenfeld & Nicolson. 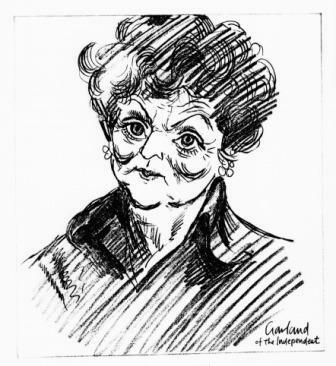 Muriel Spark: Nicholas Garland in The Observer, 31 Jan 1988. The British Cartoon Archive, http://www.cartoons.ac.uk. Accessed 20 Jan 2013.